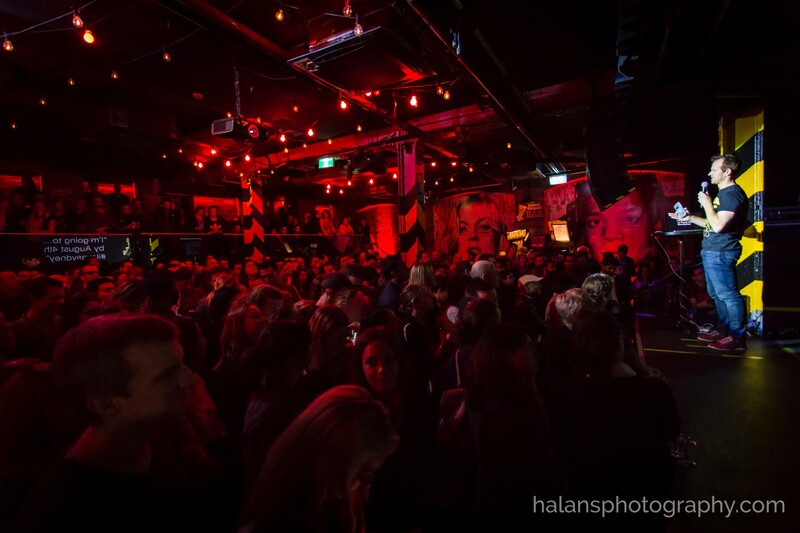 From a live Ignite Sydney event! Thinking of starting an Ignite? Here’s why you should and how. If you had a great idea and only five minutes to present it, what would you say? Ignite talks are fast-paced presentations that spotlight stories, ideas, and performances. Ignite’s mission is “Everyone Speaks”. We believe that public speaking builds confidence in individuals and that events like Ignite build community. Our goal is to make it possible for anyone, anywhere, to learn to present their ideas and their stories. Talks can be informative or funny, academic or musical, inspiring or even fictional. There’s no restriction on what each talk can be, only that presenters have to get through a series of 20 slides in 15 seconds each. Ignite talks can be public or private, serving companies, organizations, cities, neighborhoods, professional associations, and special interest communities, to name just a few. At its core, Ignite is a series of super fast talks meant to “enlighten us, but make it quick.” The rest is up to you, the organizer. 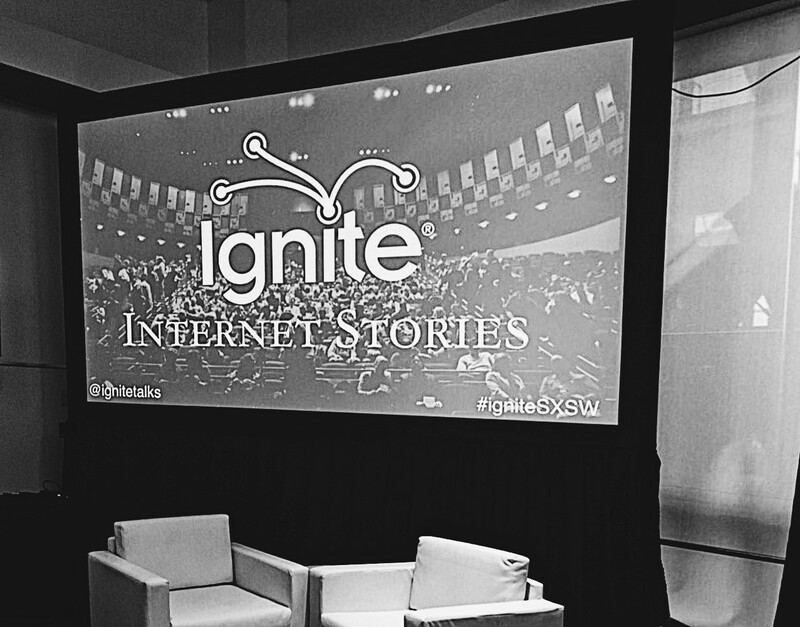 Ignite organizers host events as intimate or large-scale as their communities desire. Logistical responsibilities like selecting a venue, filling the audience, and promoting the event fall to organizers, as do creative duties like selecting speakers and curating a theme. Starting an Ignite chapter in your community houses all your events under the IgniteTalks umbrella. You’ll receive support and resources to help your Ignite chapter thrive, from the initial creation of your chapter to year-round operations and speaker events that your community will never forget. And as part of the global IgniteTalks family, your local chapter will be immediately recognized for a certain standard and a built-in audience that has made IgniteTalks a success around the world (we have hundreds of global chapters!). Still flirting with the idea? Here are four reasons to take the plunge and start an Ignite chapter in your community. No matter what type of Ignite chapter you’re planning to start, your community is still made up of a series of individuals. Whether these people all share the same mindset and hold the same values or are made up of a variety of different types of thinkers, exposing your community to new ideas is an invaluable experience. Maybe your city-based Ignite chapter is home to a multitude of cultural and religious backgrounds. If your Ignite chapter is based around a certain professional specialty perhaps there are new developments in the industry that your community hasn’t learned about yet. No matter what draws your community together, IgniteTalks are a powerful way to expand your horizons. Speakers can talk about ideas, present inventions, tell stories, or share personal experiences. They can come from anywhere, whether they’re professionally regarded presenters or just people with good ideas. And since IgniteTalks discourages pitches andcompany plugs, your audience will be exposed to new ways of thinking, new ideas, or touching anecdotes that are inspiring and moving without any underlying agenda. Ignite speakers also come from within the community. Maybe you’re hosting a private Ignite, and your company is made up of staff members with unexpected hobbies, or your startup team is still getting to know each other and is in need of some bond-forming icebreaker activities outside the office. Or maybe your neighborhood is sprawling and spread out, and new residents have a hard time meeting people and getting connected. Hosting an Ignite event that features speakers from within your community creates a special platform for interpersonal relationships and connectedness. Those relationships may be more focused on business connections than on friendships, or perhaps the goal is a more personal neighborly unity and closeness. When it comes down to it, how well do you really know the people in your community? Sharing interesting slices of life on the Ignite stage draws people together and galvanizes communities wherever they may be. And you may meet some pretty incredible people in the process. From a live SXSW event! As part of the broader IgniteTalks community, organizers can leverage events to become true influencers. One of the tangible personal benefits of being an IgniteTalks organizer is the visibility and prestige that comes with playing an impactful role in your own community. As an organizer, you’ll bring together a network of inspiring, interesting people. Selecting speakers, planning and promoting an event, and filling the audience with all help organizers build lists of influential contacts, whether personally or professionally. And as we’ve mentioned, hosting an Ignite event also takes a certain amount of logistical skill. You’ll be supported by the IgniteTalks family with resources, checklists, schedules, and step-by-step guides, but the real execution is up to you. From logistical planning to influencer status, starting an Ignite chapter builds your skills and experience for your resume, LinkedIn profile, and plain old personal satisfaction. Sure, there are plenty of personal benefits to organizers who start Ignite chapters. But the truth is, Ignite is a powerful experience for everyone involved. Speakers get to share their ideas and present what they’re most passionate about. Audience members experience an evening of education, inspiration, and fun. Entire communities come together to celebrate what’s best about where they live, what they do, or the topics they care about. Ignite organizers make all of that happen. A presentation made up of 20 slides for 15 seconds each doesn’t seem like much, and five minutes goes by in the blink of an eye once you step out onto that stage. But an Ignite is a night to remember. Your community won’t stop talking about the ideas they heard, the people they met, the laughter they shared, and the magic of an Ignite experience. Now that you’re convinced, kick-starting your own Ignite is simple. We recommend you rally together a few reliable people (it’s more successful — and fun — if you run your Ignite as a team). Then fill out a few questions about your location, background, and motivations, and the Ignite team will be in touch! Apply to start your chapter or apply for a license for your event.